In two decades, five Division I players have been named first-team All-Americans for academics, athletics in the same year. Three were from Gonzaga. UPDATED: Fri., May 25, 2018, 3:34 p.m.
Like his student-athletes, Mike Roth enjoys hitting the books. Gonzaga’s athletic director couldn’t be more proud of the men’s basketball team’s achievements on the court, but he cared enough to find another record-breaking statistic: During the last 20 years, only five Division I players were named first-team All-Americans on the court and in the classroom during the same academic year. “That’s just amazing,” Roth said Thursday as he ticked off the names: Dan Dickau in 2002, Kelly Olynyk in 2013 and Nigel Williams-Goss in 2017. Remarkably, Olynyk pulled off the feat while leading a team that was ranked No. 1 on the court. Williams-Goss did it while taking the Zags to the national title game, and his 3.84 grade-point average was the highest of any player in last year’s Final Four. Though not among the nine GU programs to post a perfect 1,000 APR, the GU men still made the top 25 nationally with a score of 995 that easily topped the West Coast Conference. “That may be the reality at some places, but not here,” said Roth, who noted that in 19 years as head coach, Mark Few has seen all but one player graduate. 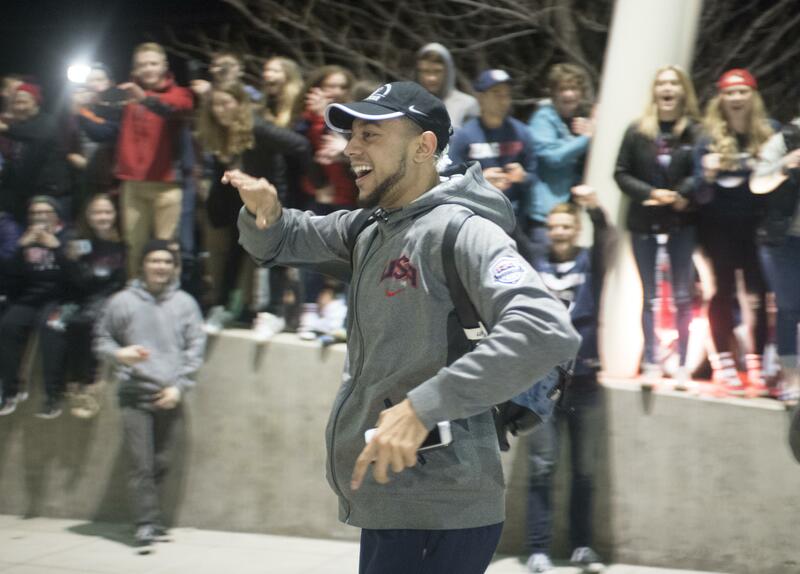 The Zags already have a leg up for next year, as returnees Josh Perkins and Jeremy Jones already have graduated. At the same time, Roth isn’t complacent. The new Volkar Center for Athletic Achievement devotes 15,000 square feet – almost one-third of its footprint – to academic improvement. That’s 10 times the size of the old study facility, a big selling point to prospective Zags and their parents. Few and women’s counterpart Lisa Fortier were unavailable for comment, but for them, “that was the most important part of that building,” Roth said of the Volkar Center. Despite their success, the Zags are still looking up at Villanova, which won the NCAA men’s basketball championship this year while posting a 1,000 APR the previous season. During 2016-17, GU and Villanova were the only two schools to post a top-25 mark in APR and put both men’s and women’s teams in the NCAA tournaments. Published: May 25, 2018, midnight Updated: May 25, 2018, 3:34 p.m.